What is the Best Season to Visit Northeast India? 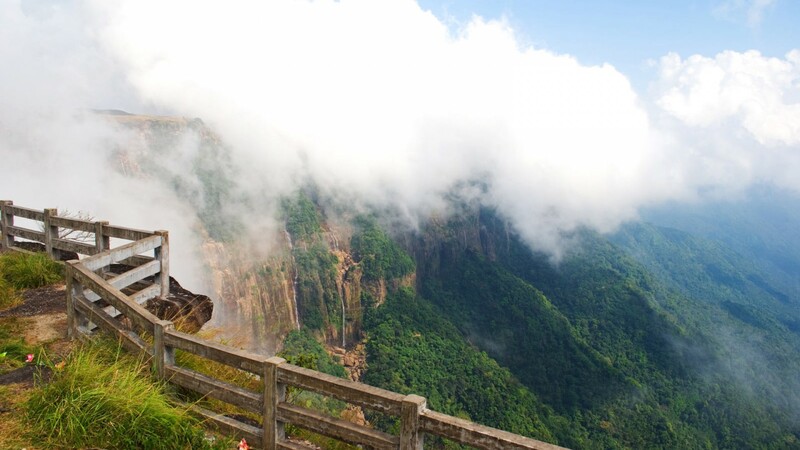 The northeast part of India boasts of places of beauty where nature flourishes with all its beauty. A large number of exotic places in the northeast part of India are set amidst picturesque hilltops which cannot be enjoyed without considering the best season to visit northeast India. The best period to visit this exotic region depends on the experience you are looking for. Interestingly, if you are still scratching your head for the best season to visit northeast India, then let us tell you that the ideal time is in the monsoons and winters. 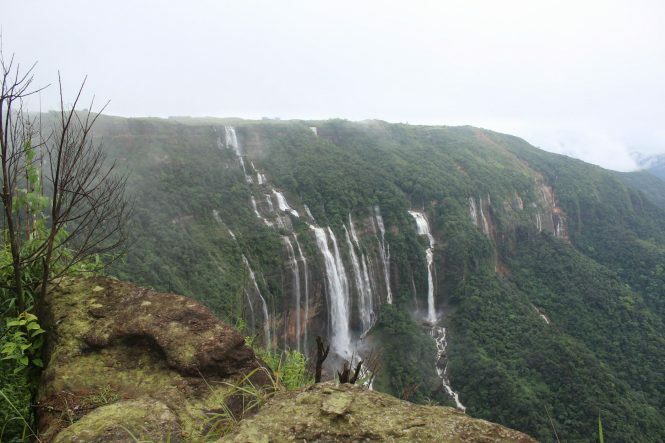 During monsoons, there are lush green surroundings and glistening waterfalls that are a treat to the eyes. In this context, it is important to note that during the course of the monsoon months, there may be a lot of landslides. This would make it a bit risky to travel on the roads. But at the end of the day, it is your choice as to what time you want to visit to have an exquisite experience. The winter months in the northeast part of India starts from the month of December and runs through February. Here is the list of interesting facts about the winter season in northeast India. The Temperature during the winter months: The temperature during the winter months in the northeast part of India hovers around 7 to 11 degrees Celsius. If you belong to plains, then make sure that you come with adequate winter clothing. Why Visit now: A lot of tourists are of the opinion that the best season to visit northeast India in winter. It is so because the entire place turns into a white swathe of land which has its own surreal beauty. This is the reason that it attracts tourists during this time. You should always be on the lookout to visit the northeast part of India to get a glimpse of the snow-covered mountains as well as experience snowfall. Places to visit in Northeast India during Winters: There are various areas like Gangtok and Pelling that you can visit during the winter months. These places have their own tranquil beauty which can please the likes of every traveller. The summer months start from April and extend until June. If you are someone who lives in the plains and want to experience cool climatic conditions, then visiting the northeast part of India should be your viable choice. This is also the best season to visit northeast India to escape the summer heat. The Temperature during the summer months: The temperature of this place ranges from 10 degree Celsius to 25 degree Celsius. As you can see, this place remains cool even in summer months. So make sure you carry woollen outfits. Why Visit now: Northeast India is also a thriving place known for its array of adventure sports and sightseeing. The months of summer are unarguably the best time to visit northeast India as the weather is quite pleasant and you can indulge yourself in a lot of enthralling activities. The summer months are ideal to visit this place due to the fact that the climatic conditions stay favourable. It is one of those periods where you can enjoy the scenic landscapes without worrying too much about the cold. 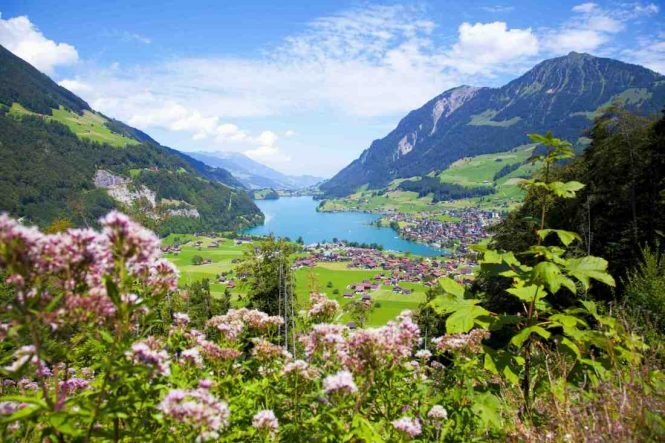 Things to know before you visit this place during the summer months: During the course of the summer months, you can witness that the whole land is full of blossoming flowers which can enthrall the senses of any traveller looking forward to having a great vacation. The monsoon months start in July and extend till September. During the course of the monsoon months, the flora and fauna of the northeast come to full blossom. This is the reason that a lot of adventure seeking travellers tours this place during the monsoon months. The terrain gets a bit difficult to explore but it’s worth the pain as you can see a lot of beautiful landscapes and waterfalls in full flow. The Temperature during the monsoon months: The temperature during the monsoon months usually hovers around the 15 degree Celsius mark. Moreover, it gets relatively cold during the night. This is the reason that it is the best season to visit northeast India. 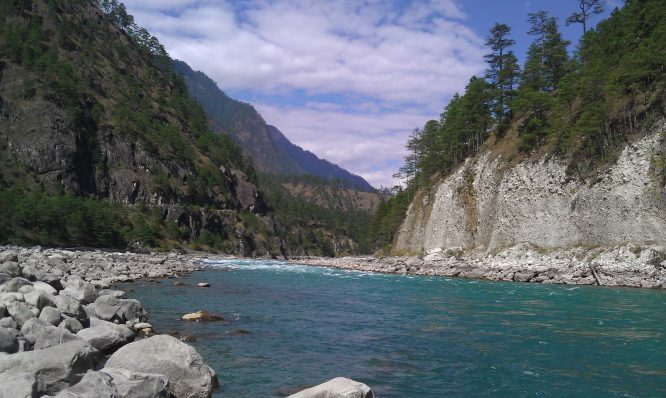 Why Visit now: During monsoon, this place becomes unpopular among tourists. However, if you love adventure, then this is the best season to visit northeast India. The Interesting Prospects behind Visiting this place in monsoons: During the course of the monsoon months, there are a lot of places to visit in northeast India. Moreover, witnessing the beauty of the waterfalls amidst the lush green surroundings is a treat to the eyes. On the other hand, the northeast attractions come to live when monsoon sets in the area. Things to know before you Visit: It is important for you to be aware of the fact that a lot of landslides happen during this months. Hence, always be on the lookout to visit the low lying areas to escape the danger. The post-monsoon month sets in October and runs through December. If you are someone who wants to avoid the rainy season and still want to experience the beauty of nature, then the post-monsoon months are the ideal time. The weather conditions remain pleasant and you can witness the beauty of the landscape in a proper manner. The temperature is quite enticing to indulge in adventure activities. You can also opt for local sightseeing if you visit this place during the post-monsoon period. In other words, it would be a different experience for you as the valley comes alive during this period. The Temperature of the region during the post-monsoon months: It is interesting to note that the temperature of this region lies in the 15 degree Celsius mark. It is ideal to carry out a lot of adventure activities. Why Visit now: There are a lot of fascinating things to do in northeast especially during the post-monsoon period. 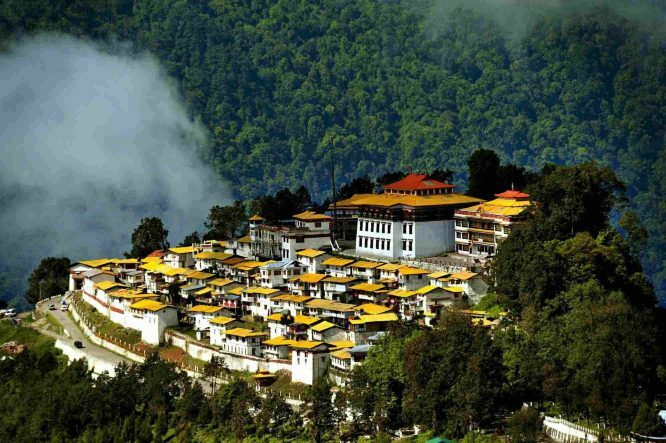 The various monasteries can be enjoyed during this phase which is a true experience in itself. You can also indulge in trekking and other fascinating activities as the weather stays pleasant. 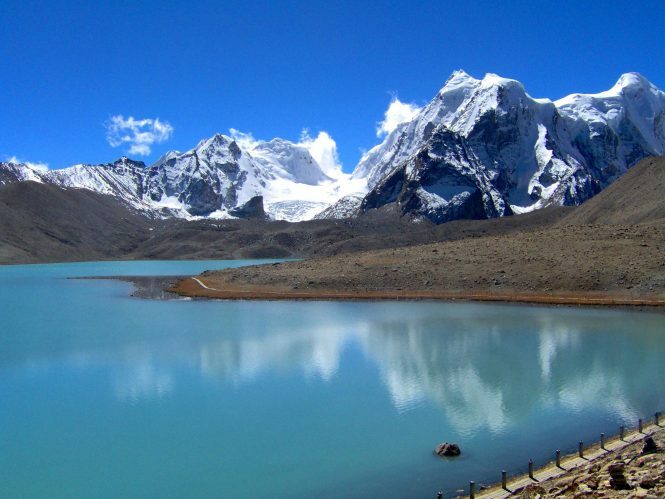 Things to know before you Visit: During the post-monsoon period, the view of Mount Kanchenjunga is quite clear. Other enticing prospects behind visiting this place during post-monsoon: During the course of the post-monsoon months, the landscapes are quite greener. Moreover, there is the subtle presence of light breezes that flow across the valley. Thus, it is one of the ideal times to tour this place for a plethora of travellers. Weather conditions during the post-monsoon period: The post-monsoon period sets in just before the winter months. This is the reason that the temperature stays in the comfortable mark. This, in turn, makes it an ideal destination to tour this place. The northeast part of India is a vast region and hence one needs to lay emphasis on the weather conditions of each part before visiting them. In this manner, you can be in an advantageous position to tour this place in a befitting manner. For instance, let’s take the example of Arunachal Pradesh. In Arunachal Pradesh, the winter season is a good period to visit. The temperatures lie on the lower side but still, it remains one of the favourites among travel enthusiasts. Interestingly, the temperature can reach below the zero degrees mark. But that does not act as a hindrance. However, it is best to avoid the Alpine zone areas during the winter months. In contrast, Assam has a typical subtropical climate. It also has little climatic variations between the regions. 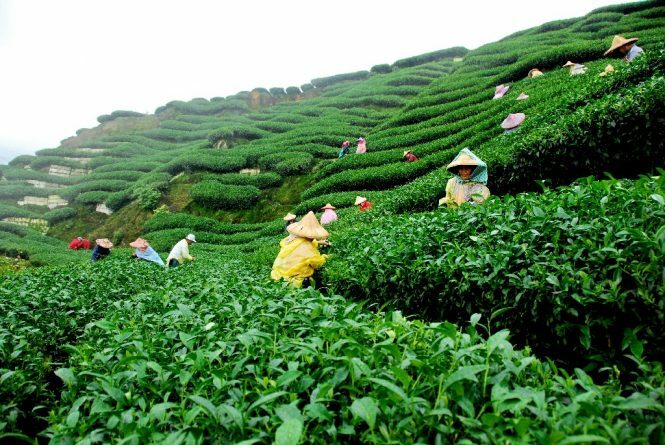 Interestingly, the winter season is the best season to visit Assam. It is so because the travelers can witness a lot of beautiful things. Our northeast tourism advice would be to visit the popular places in Assam in the winter season only. Moreover, our northeast tourism packages are best designed to make sure that you are comfortable at the end of an adventurous day. By considering the best season to visit northeast India, you would make sure that you have a fascinating holiday. The surroundings of this region of India come alive if you consider the best time to visit. The visiting time depends on the mindset of the travellers. The above-mentioned points would also help you to decide which time is the best to tour this fantastic part of India. 1. Is the home stays reliable in this part of the country? Yes, the homestays are completely reliable. Besides that, they are quite cheap too. 2. Is it safe to venture out at night? It depends on the area you are staying. Always inform the hotel authorities before going out in the night. A day dreamer by nature and writer by choice, Ratna is a movie buff and has an undying penchant for food. She is an avid reader and a dog lover. Her ultimate dream is to travel places and own a house in a secluded country like Bhutan.